It happened, I took a hard look at my makeup collection and realized that 2015 has to be the year of the destashing and using what I have in my collection! Also I am working being less worried about collecting new things but instead focus on streamlining many parts of my life and hoarding makeup is one of them. So my plan will be to do the ‘Pan That Palette’ challenge along with 15 additional makeup items, which will be full size unless other wise noted, starting January 1st. 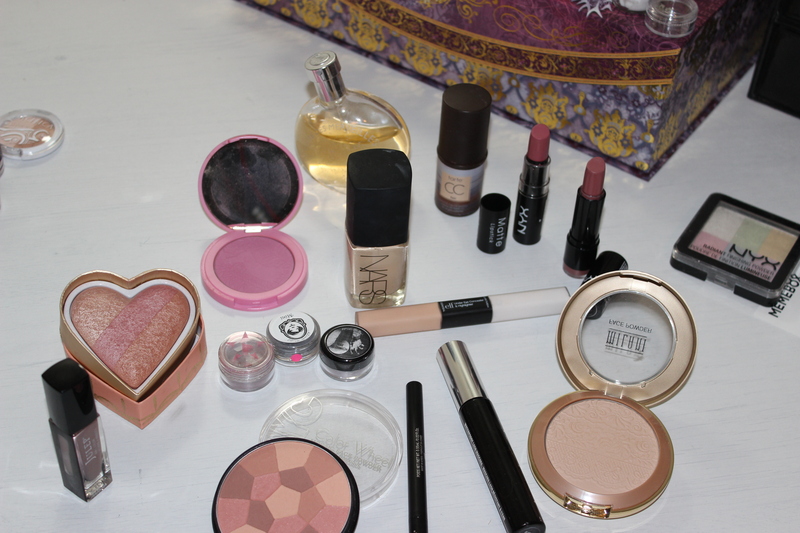 I will also be participating in a no-buy for pretty much any new eyeshadow,blush, lip products and nail polish. I have set a budget of $500 for the whole year for anything that I have to replace which will include such items as foundation along with skin care. Things like nail polish remover etc. are not apart of that $500. I have used this maybe a handful of times so it is pretty new still. While I am setting this goal for the whole year I believe that I can finish this by the summer if I stick to using it daily. Will it get monotonous using the same colors daily?? I am sure I will get a bit bored but the other part of of the plan using 15 makeup items will include some other single shadows. 7.Notoriously Morbid mini shadow in Lost in L.A.
10.NYX Matte Lipstick in Natural this contains 0.15 oz of product, this lipstick has been used a fair amount but I estimate there is still 90% left. 11.NYX Lipstick in Thalia this contains 0.14 oz of product, this lipstick has been used a fair amount but I estimate there is still 90% left. I will also be doing small Project Pan’s through out the year to get through other items over on /r/MakeupRehab. I am excited for this challenge, it is always easier to buy new things than shop my collection. So now I will be shopping what I have and will be accountable to post more about my progress. What new projects are you planning for in 2015? 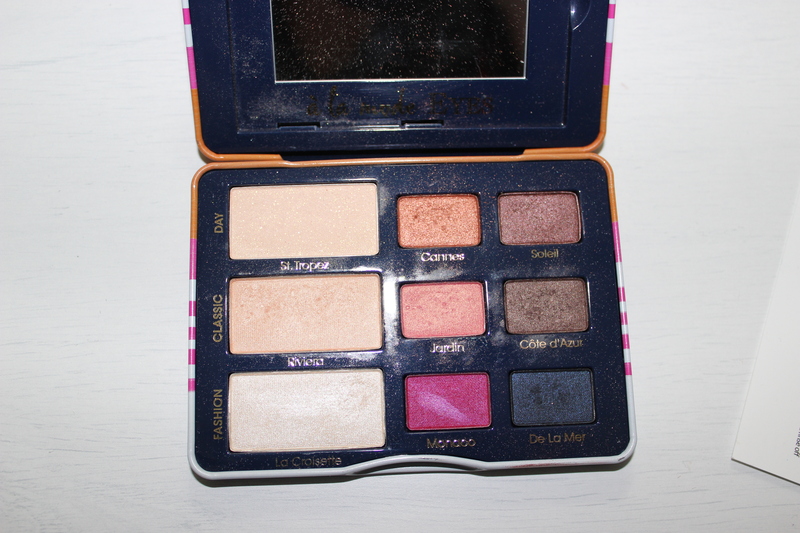 This entry was posted in Life, Makeup and tagged beauty blogging, makeup, pan that palette, project pan. Bookmark the permalink. ← Beauty For The Win…is winning! Oh good call, I forgot that was even there! Thanks! I have just started a Project Pan as well! I decided to start mine today but it will go well into 2015… Good luck with yours! Thanks! I have a small project pan I am wrapping up and will be posting for the month of December. I am feeling totally excited for 2015 and this adventure.